LAX – On Sunday Southwest Airlines Co. (NYSE: LUV) suffered several technical issues that delayed hundreds of flights in Los Angeles International Airport. The major US airline had to hand-write their boarding tickets, subjecting users to wait in large lines. “We apologize for this morning’s technical issues. We are working to restore service to our Customers, and we appreciate your patience,” Southwest said in a statement, as CBS Los Angeles reported. The delays started at 12:00 pm with 250 delayed flights. The arriving passengers were told to expect some delays from some airport agents. 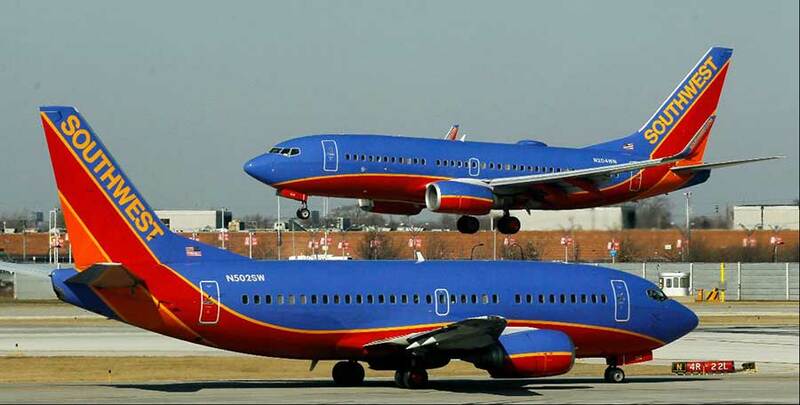 Southwest’s users had to wait in large lines as they expected for their flying tickets to be issued. The Los Angeles Airport Police Department asked passengers to arrive two hours before flight departures. As of 3:30 p.m, 450 flights were already outside the schedule, according to a press release from a spokeswoman in Texas, Southwest Airlines operates 3,600 flights per day. LAX agents started giving water and canopies to the passengers, who were complaining about the hot weather, and the outrageous situation. “E.J. Schultz, a reporter for Ad Age who was taking a Southwest flight from Chicago’s Midway Airport, said the airline was telling people at the gate that travelers with paper boarding passes were fine. But those who had downloaded their passes onto their mobile phones were told they had to stand in line, he said.” AL reported. Why is the Tribune Tower for sale?